A recent post on the QI Facebook page led the writer to a study of tyromancy – the medieval practice of divination from cheese. The practice involved a tyromancer (a practitioner of tyromancy, of course) observing the coagulation of a piece of cheese and interpreting the patterns and characteristics. The shapes, patterns and holes were used to predict the future and determine the past. Tyromancy was also used in the judicial system to determine guilt. Pieces of cheese were placed in an area with several worms. A tyromancer interpreted each piece of cheese as a different potential scenario. The piece of cheese to which the worms were attracted represented the correct fact scenario or guilty person. If the worms did not approach any piece of cheese then none of the defendants were guilty. I camembert (cannot bare) the thought of being tried by a piece of cheese. The above is not intended as legal advice. You should obtain legal advice in relation to your own specific circumstances. We often deal with issues involving children’s car seats. Not so much with infringements and the ensuing fines and demerit points, but more often as a contentious issue in an adversarial parenting matter. It is important to comply with national child restraint laws. Primarily, for the safety of the child. Secondarily, and for people involved in parenting disputes, to reduce areas of agitation. It is not unusual that during a parenting ‘changeover’ – where one parent delivers the child(ren) to the other parent – parents become combative and disagreements metastasise. Time with one parent may be suspended if they can’t safely and legally transport the child. The above is subject to change pursuant to the child’s size but is a good gauge. Complying with the national child restraint laws promotes the child’s safety and, even if it doesn’t wholly extinguish an area of dispute, it ensures that you’re not the one at fault. If the police ask you to participate in an interview, you can decline. Client’s often ask whether they should do so. We will address some of the considerations in this article. if you’re questioned in relation to a serious indictable offence (punishable by gaol for five years or more) and you provide a defence later that you could have raised at an earlier opportunity, the court may doubt the veracity of this belated defence. If the police suspect you have been party to a crime, they will likely arrest you and/or ask you to take part in a recorded interview – an ERISP. ERISP stands for Electronic Record of Interview with Suspected Person. Section 89 of the Evidence Act 1995 (NSW) (Act) states that, in criminal proceedings, a judge cannot make a negative inference – in relation to the suspect’s guilt or credibility – from their silence. the judge or jury may doubt the credibility (of both the defence and the accused) and hold the accused’s silence against them. Importantly, there are some protections so that you can’t be ‘caught out’ by section 89A. You must be given a special caution that the investigation is about a serious indictable offence in the presence of your solicitor. You must also be given the opportunity to receive legal advice from your solicitor away from the interviewing, or any other, officer. The High Court of Australia says that the right to silence it is not merely a rule of evidence, but a basic and substantive common law right (see Reid v Howard (1995) 184 CLR 1). This right has been provided as a protective balance against the significant resources available to police to investigate charges against an accused person. reduce the rates of false confessions and other false evidence which is later found, at great expense, to be erroneous. We have heard some interesting stories of things that have been told to clients prior to them participating in an interview. One of our favourites is that it is seen as being cooperative and that is relevant to any bail application. Nonsense. Utter garbage. Whether a defendant participated in an ERISP has no bearing whatsoever on a bail application. Be mindful of what you hear or what you are told. Always seek legal advice. In closing, you do not have to speak to authorities if you do not want to and, in the majority of circumstances, it cannot be held against you in any way. The risk if you do give an interview is that an answer you give can be used as evidence against you in court – which may provide the prosecution with additional evidence that they would not have otherwise had. We recommend in the strongest terms possible that you first obtain legal advice before deciding whether to give an interview to the police. When parents disagree – Is vaccination in a child’s best interests? Immunisation rates in Australia are falling. Some parents want their children vaccinated. Others do not. When parents separate, the Family Court can be asked to decide whether vaccination is in a child’s best interests. Parents in support of vaccination argue that disease will flourish if children are not vaccinated or that children will miss out on social or sporting activities and opportunities. Often the effect the unvaccinated child could have on new siblings is what brings about the cause for dispute. One parent may also be concerned about losing government benefits if the child is not fully vaccinated. The debate can become emotionally charged. There is no middle ground. Neither parent will be satisfied with an outcome whereby the child receives, say, half the jabs on the immunisation schedule. How does the Family Court address this contentious debate? It will review the evidence from both parties, medical professionals and court appointed experts, and decide whether a particular vaccination is in a child’s best interests. The Court may also consider the children’s views, where they can be clearly expressed free from undue influence. A child may experience unhappiness if excluded from an extracurricular activity because he or she has not been vaccinated. While the Court has favoured the view that vaccination is generally in a child’s best interests, it is not bound to this position in every case. For example, the Court may consider the child’s present medical condition, the type of vaccination proposed and cultural concerns. The biggest change to the Family Law system since the creation of its current form in 1975 is about to be made. Faster and better outcomes are to be delivered. 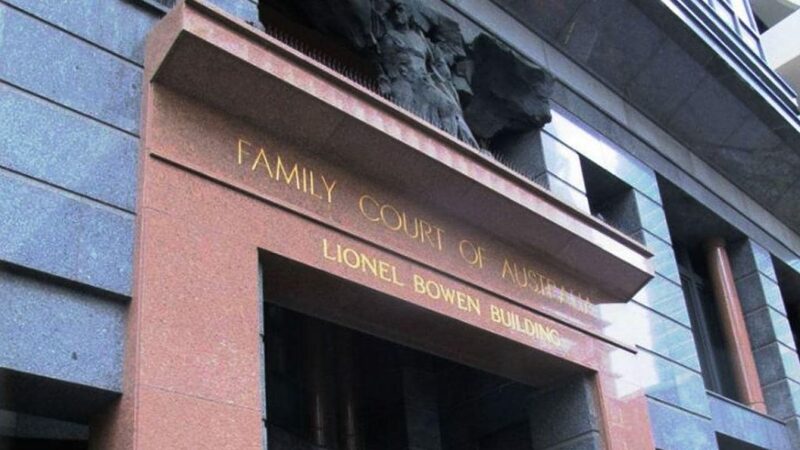 The Family Court of Australia will be merged with the Federal Circuit Court. A single entry point for all family law matters will be created. The Federal Circuit and Family Court of Australia will arrive on 1 January 2019. The new, larger court has been designed to reduce the complexity, delay and cost. The Attorney-General believes that the new system will deal with an additional 8,000 cases per year. That means that at least 16,000 litigants will have their matters finalised every year. Many more thousands of children will have certainty. This is what we are being told, at least. Chronic underfunding, failure to replace retiring judges and a lack of legal aid have all but crippled the system. Delays in the Court system have increased over the last 10 years despite the number of applications remaining roughly the same. The Law Council of Australia will work with the legal profession, the Court and the Australian Government to ensure that the implementation is successful. Interestingly, consultation with the biggest users of the Court system – the legal profession – is to occur after the announcement rather than before the government made and announced the decision. The Australian Law Reform Commission will soon release draft legislation and further details on how the amalgamation will be carried out. We are optimistic. However, we know that interacting with the Federal Circuit and Family Court of Australia will be challenging in the first few years of its operation. Forms, rules and procedures will all change. Judges will change. The path for existing matters in the Courts will change. If you are separating, or planning to separate over the next few years, talk to one of our family lawyers today to make sure that you know how these changes will affect you. The basic concept of legal professional privilege (also known as client legal privilege) is that people can communicate with their lawyer, in a candid and thorough manner, and the lawyer will keep this information secret. In a criminal setting, privilege will usually be claimed over oral communication between a defendant and their lawyer. 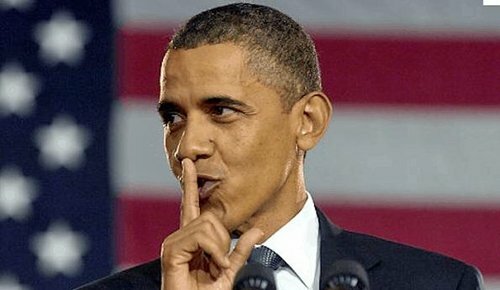 In civil matters (family law, contract disputes, torts (suing someone), etc), privilege will likely be claimed over certain documents. if the lawyer forms a view they can’t represent you with the information you’ve given them, they should advise you to see another lawyer. the lawyer can’t lie for you. The lawyer can still defend you and must still keep what you have told them confidential, but their duty to the court prevents them from saying or leading something they know to be false. It is suggested that the concept of privilege as we know it today is rooted in Roman custom. Except for the most serious offences, a servant was not compelled to testify against their master as the construct of the ‘household’ was considered more important than having all information necessary to adjudicate litigated disputes. Partly in order to foster public faith in the judicial system that developed in the last millennium, concepts of judicial rights evolved – including the presumption of innocence, being judged by a jury of one’s peers and, importantly, access to legal advice. Any impediment that prevents or discourages the defendant from fully disclosing their side of events to their lawyer would render this access to legal advice largely redundant. The first recorded case involving Privilege dates back to the 16th century. The NSW source of legislated privilege is found in sections 118 and 119 of the Evidence Act 1995 (NSW). The law states that information you give your lawyer for the purpose of obtaining legal advice or relating to proceedings is privileged. It is important to note that the privilege is attached to the client and not the lawyer. The client can pass on this information to whomever they choose. It is the lawyer that needs to keep it confidential. When a client intentionally discloses a privileged communication, the privilege for this piece of communiqué has been ‘expressly’ waived. A common example of this would be written correspondence, a statement or Affidavit the client instructs their lawyer to send to the other side, police or file with the court. However, clients can also ‘impliedly’ waive privilege if they do something inconsistent with the confidentiality otherwise contained in the communication. Put simply – if you chose to disclose part of, or something relevant to, certain information, the option for you to claim privilege on that document or communication may be lost. Also, if you tell your lawyer you are about to commit a crime, the lawyer must obviously report this. A lawyer’s paramount duty is to the court and the administration of justice. They cannot lie to the court in defence of their client. However, in the above instance, a lawyer could still defend the admittedly guilty party should they choose to do so. The lawyer could challenge the evidence against the defendant but could not say or put forward anything they know to be untrue based on the confession. One example of what the lawyer could do would be to strongly cross examine a witness about any inconsistencies in their version of events. This may be enough to cast reasonable doubt on the case. A lawyer could not, however, put forward an alibi for the defendant they know to be untrue. The prevailing jurisprudential view is that open and comprehensive disclosure between client and lawyer is essential for the State to administer justice, so it should be protected. We agree. Tell your lawyer everything. 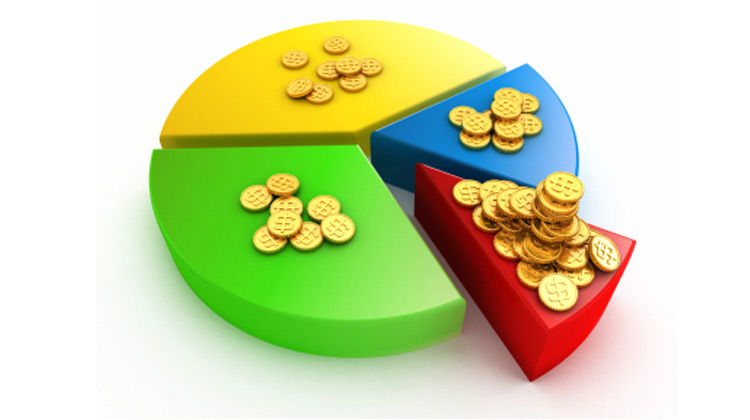 It is a common arrangement in small family companies for both spouses to be directors. It is also common within these companies for one of the spouses to be responsible for managing the company, and the other to be responsible for the more mundane duties, or not involved in any way at all. Regardless of the work that the director actually does, his or her duties and obligations are the same. This issue sometimes arises in the context of family law proceedings. Directors are responsible for ensuring, among many other things, that the company tax returns are completed accurately and honestly each year. If a company does not pay tax, for whatever reason, there are significant financial penalties. If the parties later separate, the penalties will likely need to be paid as part of a property settlement. It is very, very difficult to argue otherwise, especially where the asset pool is modest. The director who, for example, took care of the children and the household and assumed that the tax would have been done properly can rarely argue that the director effectively running the company, who met with the accountant and told the accountant not to file the tax return, should be liable for the debt. What can be especially crippling for separating parties who incur a company tax debt is the raft of administrative penalties and interest that the ATO seeks on top of the principal debt. If a company tax return is done, say, five years late as part of a property settlement, and tax should have been paid, then the ATO will often simply put five years worth of interest and administrative penalties on top of the bill and direct the company to pay the entire amount. In years gone by, the ATO would write off the interest and administrative penalties if parties had the capacity to pay the principal debt straight away. The ATO is now tougher. 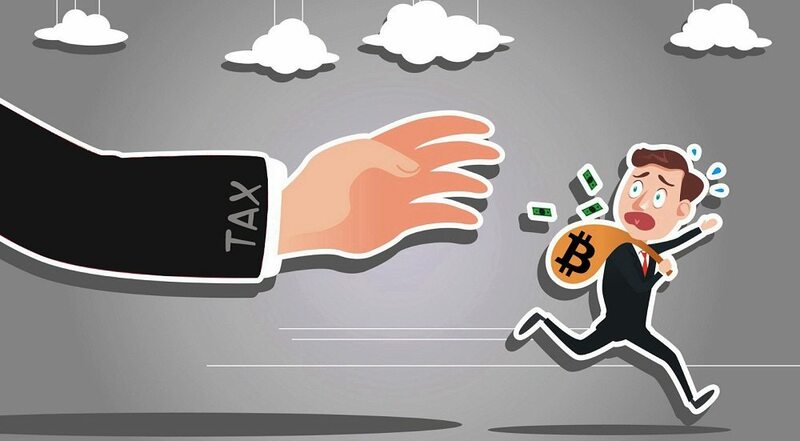 Readers may have seen the recent exposé on ABC’s Four Corners and the commentary in the Sydney Morning Herald in which the ATO was revealed to have been pressuring its staff into using harsh debt collection tactics against small business tax payers to raise revenue. Small business tax payers are targeted because their debts can be reasonably significant and their capacity to defend claims minimal to non-existent. This tough stance has meant that the ATO is unwilling to write off interest and administrative penalties. If you are the director of a company, make sure you know what is going on. If you don’t, or your spouse won’t let you, you should be concerned. It never ceases to amaze us how often we hear this one. We suspect that it comes from that same friend who can tell you exactly what you need to do because they went through a separation that was exactly the same [insert eye roll emoji here]. The long and the short of it is that it is completely wrong. There is no 50/50 starting position and there isn’t even an automatic entitlement to an adjustment of property interests at all. So, how does a court determine what division of assets is appropriate after a married or de facto couple separates? The court will first ask whether it is just and equitable – that is, fair – to make an order that adjusts the existing legal and equitable property interests of the parties. In most cases, this threshold is easily met, particularly if there is no longer common use of jointly owned property. But there is no guarantee. Recently, the Full Court in Chancellor & McCoy  FamCAFC 256 decided that a couple who had kept their assets entirely separate should each keep what they have after a 27 year relationship. One party walked away with much greater assets than the other. fourth, the court determines what orders, ultimately, should be made to achieve a just and equitable division of the assets in the circumstances of the case (which will be reflective of an overall percentage division). The court has a wide discretion available to it when making these assessments, so there can be a range of reasonable and appropriate outcomes available in any given case. No two cases are the same. It is important to get good advice about what your legitimate entitlements may be. But if the advice comes from someone without a practicing certificate who suggests that ‘you can get half their stuff’, you might want to look for some better advice. In politically and socially divisive times, one often hears the term ‘my freedom of speech’ as a bulwark against fair or unfair condemnation of another’s view. As we see this sort of thing often and are largely in agreement that free speech is good and important, it is easy to think that one’s speech is steadfastly and universally protected by the State. That’s great. But it’s the first amendment to the United States Constitution. We don’t really have anything similar in Australia. There is no Commonwealth legislation that explicitly affords a general right to freedom of expression. In the Australian Constitution, sections 7 and 24 provide for the public’s right to vote for candidates and parties in federal elections. (b) by preventing the government from making laws that curtails this freedom. However, the High Court also went on to say that not even this protection is absolute and governments can make laws subverting some political communications in certain circumstances. On the flip side, there are lots of laws that prohibit all sorts of communications. There are laws against making or spreading documents inciting or supporting terrorism. Laws against menacing, harassing or offensive communication. Laws against providing false or misleading information. Laws against the circulation of certain State documents. Laws against certain forms of discrimination, intimidation and harassment made against someone based on race, colour, national or ethnic origin or gender. 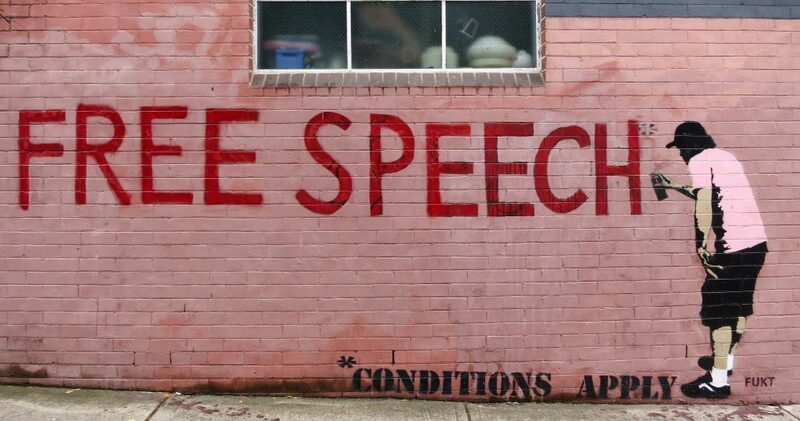 When traversing the free speech landscape in Australia, one should do so knowing that many varying forms of speech are prohibited and there is no explicit protection of ‘free speech’ in the Constitution. 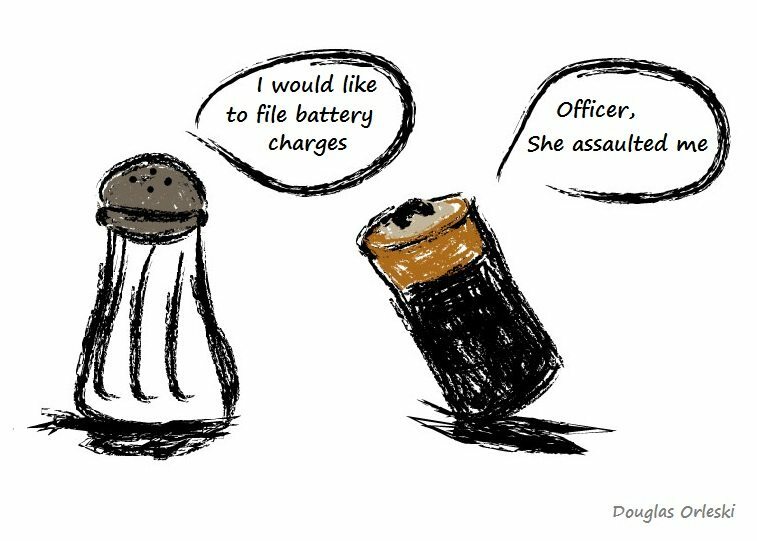 In the same vein as George Washington Duke goading Rocky Balboa at the end of Rocky V and exclaiming, “Touch me and I’ll sue you,” we often get questions about assault – namely, what does and does not constitute assault? In The Queen v Phillips (1971) 45 ALJR 467, it was held that an act causing fear or apprehension of unlawful injury – without physical contact – can constitute assault. So, if one person makes another person fearful or apprehensive of pending unlawful injury – that is assault. If, in this environment, the assaulter then touches, grabs, pushes or strikes the assaulted, this would constitute assault with ascending degrees of seriousness. A missed punch, kick or thrown object can also constitute assault. As can spitting on someone. In New South Wales, the maximum penalty for assaulting someone and not causing injury is two years in prison (Crimes Act 1900 (NSW), s 61). Other forms of physical interaction may be more severe but not amount to assault. Obviously, defence of yourself, property or another can be an appropriate defence. So, too, can necessity, where someone is faced with an immediate situation and acts proportionately to resolve it. Another example may be where your act is not voluntary because, say, you are asleep or it was an involuntary reaction. If you were walking along a path and tripped, but then threw your hand out and firmly grabbed the person next to you to catch and prevent yourself from falling – what then? Although someone can be found guilty of assault without touching someone, this does not mean that claimants can prosecute people for run-of-the-mill accidents and harmless interactions. It has to be proven beyond a reasonable doubt that a reasonable person would have experienced fear in that situation. We are not entirely sure of the civil legislation and authority of the State of Pennsylvania, but if Rocky decked Duke in the state of New South Wales, he is obviously looking at a pretty serious assault charge.